Amazon Web Services (AWS) is the pioneer of cloud platform. And provides on-demand cloud computing platforms to individuals, companies and governments, on a paid subscription basis. Their technology allows subscribers to have at their disposal a virtual cluster of computers, available all the time, through the Internet. The AWS technology is implemented at server farms throughout the world, and maintained by the Amazon. Fees are based on a combination of usage, the hardware/OS/software/networking features chosen by the subscriber, required availability, redundancy, security, and service options. Amazon AWS enables subscribers to obtain large scale computing capacity more quickly and scale application running on them with high availability, redundancy and Security. Navicure and ZirMed were united by that shared belief when they joined forces to become Waystar in 2017. Waystar Revolutionizes your revenue cycle management by Maximizing all sources of revenue, reduce cost and expedite payment with a simplified and unified platform that integrates payment processing across HIS, PM and EMR systems—unlocking unprecedented, actionable insights for improved revenue cycle performance. No matter the size or scope of your organization, Waystar can help you save time and effort so you can get back to helping those who need it most. 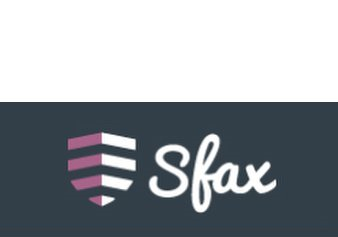 Sfax is a HIPAA secure cloud faxing solution that works via a web browser, on both Mac and Windows computers, on a mobile and tablet – and through our API. Sfax enables to send and receive HIPAA-secure faxes from anywhere. Designed to withstand the rigors of healthcare, Sfax enables you to send, receive, annotate, digitally sign and manage faxes without printing a single physical document. All your documents are protected by strong encryption within our SSAE16 Type 2 data centers. Safely manage all your faxing with powerful, easy to use features and enterprise-level flexibility. Sfax. Designed for Healthcare. Fazzi Associates is one of the oldest and most respected names in the industry, We exist to help home health and hospice agencies improve quality, profitability, efficiency and patient and family satisfaction. Fazzi focuses on assisting agencies in making positive transformations in the most timely and effective way possible. Agencies can expect to receive support from professionals who understand the complexity and challenges of making changes in an agency. We pride ourselves in providing evidence-based, best practice support in a respectful manner to the agencies we serve. Fazzi Associates specializes in making positive changes happen – operational, financial, strategic and quality changes. Press Ganey Associates is a patient experience health care company known for developing and distributing patient satisfaction surveys. Helping health care organizations improve safety, quality & experience of care through performance analytics and strategic advisory solutions. Press Ganey partners with more than 50% of all U.S. hospitals to help improve clinical and business outcomes. MedlinePlus is an online information service produced by the United States National Library of Medicine. MedlinePlus provides encyclopedic information on health and drug issues, and provides a directory of medical services. MedlinePlus Connect links patients or providers in electronic health record (EHR) systems to related MedlinePlus information on conditions or medications.